T20 is called a batsman's game. Spectators and fans like to watch big hits and runs flowing from their favourite batsmen's willow. However, the bowlers are equally, or even more, important for a T20 side. In the initial years of the IPL, bowlers looked perplexed and they went for a lot of runs. But with time, the bowlers have become smarter and have added different variations to their repertoire. Teams with a strong bowling-attack have been successful in the last few years. Sunrisers Hyderabad has relied heavily on it's bowlers to deliver the goods and the bowlers haven't disappointed them. The likes of Rashid Khan and Bhuvneshwar Kumar have been brilliant with the ball and have made a name for themselves in T20s. This season too bowlers are going to be key for each IPL team. Moreover, because of the World Cup, many players will leave the tournament early and thus teams with backup options will have an upper hand in the tournament. Considering all these factors here are the top 3 bowling sides of IPL 2019. 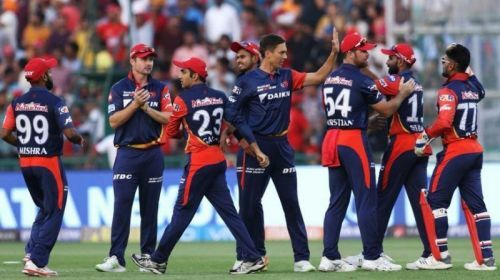 Delhi Daredevils, which is now called Delhi Capitals, had a tough season last year. One of the major reasons for the team's dismal performance was it's poor bowling attack. However, come IPL 2019 and Delhi has a new look bowling-attack. Trent Boult was outstanding for Delhi last season. Delhi suffered a double blow last season when Chris Morris and Kagiso Rabada were ruled out in the early part of the tournament. Both these players are expected to be available this season. The team bought Axar Patel at the auction and he will be part of a lethal spin attack along with the experienced Amit Mishra and the young spin sensation Sandeep Lamichhane. Harshal Patel and Avesh Khan will add depth to Delhi's fast bowling. Delhi has formed a strong bench strength by buying West Indies all-rounder Keemo Paul, Rajasthan pacer Nathu Singh and local boy Ishant Sharma at the auction.